So one of the most asked questions is what are the costs involved in starting and running your own Self Managed Superannuation Fund. The easiest way to understand this is to break it in four separate areas, the initial advice costs, the establishment costs, the ongoing administration and ongoing advice costs. What am I up for? The initial advice fee will depend on if you are seeking advice specifically on setting up an SMSF or a full plan looking at your Superannuation, Insurance, Debt and other investments. 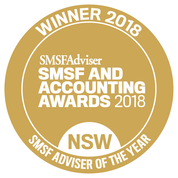 You should meet with a Financial Planner, preferably a SMSF Specialist Advisor™, to ensure you are dealing with an experienced professional, and ask for a quote before agreeing to any work. Depending on the complexity of your situation you can expect to pay between $1870 and $8,800(for really complex cases). The average seems to be about $2400. The upfront or establishment costs will be determined on whether you have an individual trustee or a corporate trustee but we always recommend a sole purpose corporate trustee (See here for reasons why). If you use a Corporate Trustee, it should be no more than $1,000 to 1,500 to setup inclusive of the $479 ASIC Incorporation Fee. These are just the pure basic costs of the legal documentation required to establish the fund and register it as a Complying Super Fund and apply for an ABN and TFN. The ongoing administration cost will be determined by the complexity and size of your fund and whether it’s Accumulation or Pension mode. Typically however you will be paying 2 lots of administration fees on an ongoing basis. You will be paying your Account Keeping fee, to get your tax return. You will be paying the Audit fee, because you are now the trustee so you need to get an audit every single year. The total of fees should not exceed $2,000 per annum if you have a simple fund and online providers are bringing the costs down dramatically with a $79 – $189 per month fee covering Admin and Audit. If you have a more complex Fund, you can expect to pay around $2500 – $5000 per annum but these costs are being driven lower with the use of data feeds and as I mentioned competition from online administrators so shop around. Be careful about choosing your administrator as often you get what you pay for but some of the better providers are becoming lower cost as well. Now these administration and audit costs are just the base costs of what you need to run your fund and keep it compliant. 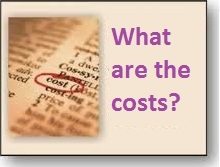 There may be additional costs that may be applicable to you. For example, if you buy an investment property and you have a bare trust there will be one extra layer of cost associated with this. If you need ongoing advice on strategy and/or investments from an advisor or in-depth/specific tax advice from an accountant then you will also have to pay for their professional services. The great thing about a self managed superannuation fund however is that you control the cheque book, so you can decide if you are getting value for money. It is quite easy to see the fee you are paying each service provider and you have the choice to shop around and seek alternatives annually. Don’t be afraid to switch as it is often a case of just one letter of instruction and your files can be moved to a new administrator or advisor behind the scenes. 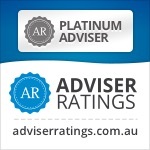 As The SMSF Coach and our parent firm, Verante Financial Planning, we specialise in the strategy, structure and education with investments being a byproduct after the other areas have been addressed. Our SMSF service operates on a Fee for Service basis for new clients so you know your annual costs upfront and can walk away at any time if not satisfied. We don’t do the administration or audit but can offer a range of solutions with local or online providers to suit your needs. We are more than happy to work with your existing accountant and often find that relationship grows even stronger when our education sessions give people the confidence to use their accountant’s expertise to their full potential. For separate investment portfolio design and maintenance we offer a fee for service quote for clients starting at $990 per annum. Why not keep updated by putting an email address in on the left hand column and pressing the “Sign me up!” button. If you would like to discuss your options without any obligation to proceed then you can contact Liam or Michael at our Castle Hill or Windsor offices or we are happy to use Skype, phone or email as suits your needs. Alternative use the “Schedule Now” button to set up some times that suit you. Bye for now and hopefully talk to you soon! I want to buy an investment property with me and my wife’s super ~ 170K. There worn’t be much of other complicated investments. What do you think the set up and running costs would be? we are in Brisbane. Thanks Liam for the prompt reply. I was looking at buying a unit at ~300K in Brisbane. But I take your advise on board and will contact the bank. How can ~$9000 be justified to exit/rollover a smsf of <M$1 after audit/returns ready? we ( my wife and I )already has a SMSF set up with a property fully owned ( no bear trust ) we run a small business and can vary our contributions as we see fit. what should it be costing us per year to run the fund ? Hi Paul, sounds fairly simple so $960 (offshore processing) or about $1650 (Australian Based) per year for Accounting and Audit. I am just wondering of the SMSF setup/establishment and ongoing costs come out of the SMSF or do they need to be paid externally. Also is it possible to buy an overseas property as a investment property thereby negating stamp duty costs. Yes the SMSF fees can pay all set up fees. Buying international property in an SMSF is very complicated so would require full background details, property details and compliance guidance so I recommend you see a SMSF specialist Adviser to get specific advice. It can be done but involves 2 jurisdictions and other risks that must be considered. We will make an online booking with you and look forward to chatting with you soon! What is the fee for a 30 minute Skype chat? We are based in Melbourne and like the idea of using Skype. Hi David, the initial meeting is at our cost and is just to see if we can help you and identify strategies that may be appropriate. Also for you to gauge if You feel we are the right advisors for you. After that meeting if we think we can help we will provide a Letter of Engagement outlining areas to advise on and fee involved. We do visit Melbourne client’s 2-3 times per year once on board.